Vetiver is a shared / unisex perfume by Santa Maria Novella. There are 14 reviews of Vetiver. Santa Maria Novella is my favorite house, hands down, including because of its masterful takes on single item-dominant fragrances, such as Patchouli, Verbena, and Opoponax, to name a few. I expected this vetiver to be a love. Nope. I smell nothing even close to the grassy, oily, woodsy, rooty, nutty iodine-y qualities I love in a good vetiver-based fragrance. All I smell is rosewood. Just like Jerry didn't want to be a pirate, I don't want to smell like rosewood. A pure, root like, vetiver that finishes rather sweet. Again, a fragrance that can be worn in the heat of summer, I'm starting to believe that SMN and summer heat go well together. Like Peau d'Espagne, Vetiver is tightly composed and straight forward, no iris or other additives. Excellent! This excellent fragrance opens with an almost shocking blast of raw, bitter, green, iodine-infused vetiver. Santa Maria Novella Vetiver is strong and pungent and it lasts all day long: uncharacteristic for an EdC. The fragrance is beautifully done, with an old fashioned, bone-dry, mossy and powdery dry down that seems to be the standard backbone for Santa Maria Novella. I can see how some might find it perfumey due to the rosewood and powder in the base, but to my nose it has more of an old school barbershop feel than anything else. I very much enjoy it; especially on a hot summer day, but it has the heft to be worn all year long. If you like raw vetivers, barbershop fragrances, and green mossy scents, this one could definitely be for you. But, you have to like vetiver - seriously. This one is not easy-wearing by any stretch of the imagination: the polar opposite of citrus-laden, polite and easy-wearing vetivers like Creed's, Tom Ford's or Roja Dove's. In contrast, Santa Maria Novella is powerful, dry as a bone, strong, and old school. The opening is nostril-searing. A definite must try for true vetiver fans. This may be one of the purest expressions of vetiver that ever has been crafted. Wonderfully full, earthy, grassy, minty, deep but not cloying. Immediately identifiable as vetiver... indeed it is for vetiver aficionados only. Monolithic but stunningly beautiful. 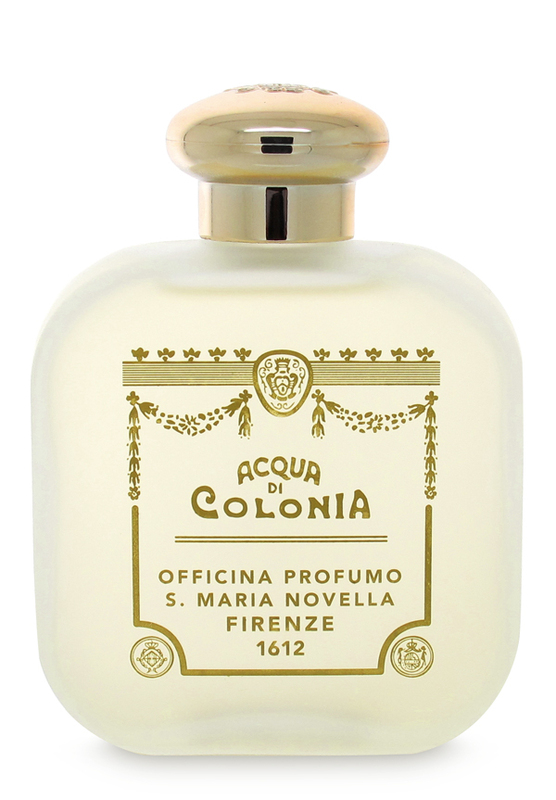 I haven't even come close to smelling the dozens of SMN perfumes, but the one's I find locally, as well as many of their signature soaps, body, and home products share a certain "Santa Maria Novella" signature smell. It's a sort of herbal potpourri smell drowned in soapy powder. To me, this is the "x factor" that separates SMN's Vetiver from so many others. The vetiver itself is solid and strong, bitter and pungent, but the soapy powdery potpourri smell rounds off the rough edges, leaving it more "perfumey" than many vetivers. There's also a fairly forward geranium, as well as mossy green galbanum making things a bit old-smelling and fusty. The other element that stands out is a weird nutty, woody, nutmeg smell that somehow combines with the SMN signature soap to smell very abstract - kind of like a big slab of nutty woody bread laced with coffee sitting there with the vetiver, greens, and soapy smells. It's a very complex smell, much more so than most vetivers. For fans of mossy, powdery, old-fashioned scents that are still masculine, SMN Vetiver could be grail material. Personally, I find it intellectually stimulating, but ultimately too garnished. I like vetivers because they have an exciting rawness - SMN Vetiver is too loaded down and smoothed over to be exciting. Raw materials and "agricole'" exoticism, i'm sorry but i like it. Vetiver Santa Maria Novella is a woody, slightly dusty (barely incensey? ), realistic (and yes minimalist) vetiver , which does not introduce for us as a fragrance a game of complex olfactory balancements and that needs a few support (from a couple of natural elements as woods, bergamot and a touch of "dust") to be a "packed aroma itself" finding in the holy complicacy of the few natural ingredients the accomplisment of its own perfection. Some talk about rosewood and i see the reference (at least this is the feeling i would bet to detect on the skin). I detect an ultra-natural (slightly salty/liturgical) earthy/rooty vetiver with hints of bergamot, a minimal touch of spices (cardamom? ), may be hints of secret frankincense and with a sheer woody feel probably provided by rosewood itself (influencing at least for the 40% the economy of the final aroma). Dated? Not for me, just arcane, assertive and almost mystic in its natural agrestic pungent holiness. I catch a sort of slightly aqueous "lemony/grassy" pungency throughout in the background possibly provided by the influence of bergamot, spices (possibly cardamom but is a mere supposition) and may be frankincense or labdanum. The dry down introduces a slightly grassy/lemony (in its aftertaste) powder counteracting the woody/incensey holiness of the natural vetiver in a final articulated woodsy combination . Just for the real vetiver fanatic. There are no member images of Vetiver yet. Why not be the first?